John H. Voth was born May 2, 1908 to Heinrich and Susanna Voth in Neukirch, Molotschna, Russia. His father, who died when John was twelve, instilled in him a love for God and pleasure in carpentry. At age seventeen John committed his life to Christ, living out that commitment with joy in every area of his life. Two years later he immigrated to Canada, later helping other family members to come. In 1934, he married Alice Thiessen of Dalmeny, Sask. They farmed near Dalmeny. In 1964, they moved to Saskatoon, where he worked as a contractor/carpenter for twenty years with his partner and friend George Panamaroff. During Voth’s retirement, he made many works of art in wood for family and friends. He delighted in expounding God’s Word for 60 years as a Sunday school teacher, lay preacher and Bible study leader. He was a regular conference delegate and held various offices in the church. He was involved in beginning Dalmeny Home for the Aged and Central Haven Special Care Home in Saskatoon and faithfully visited and counselled the residents. MCC was dear to his heart becuase it had saved him from starvation in Russia. During his last few months, when his public service was curtailed by illness, he continued to share his faith thorugh a private tape ministry to Russia. He died in Saskatoon on December 8, 1990. 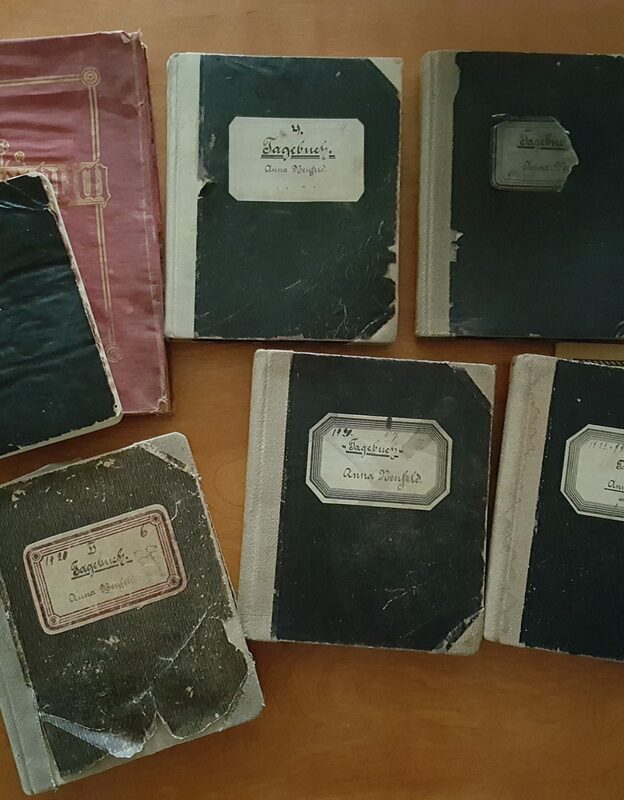 The Johann H. Voth fonds consists of nine books, many of them Bibles, likely used in his capacity as a lay preacher, Sunday school teacher, and Bible study leader. Most of them are in the German language.